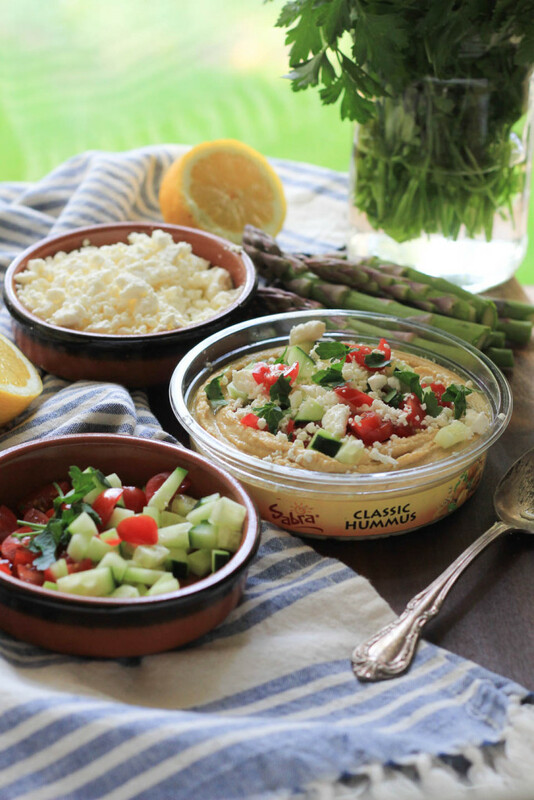 I teamed up with my favorite people at Sabra to celebrate National Hummus Day, Unofficial Meal time, and seasonal eating! This is a super nutritious, quick, easy appetizer to put together for the family while we all hang out in the kitchen talking about our days. 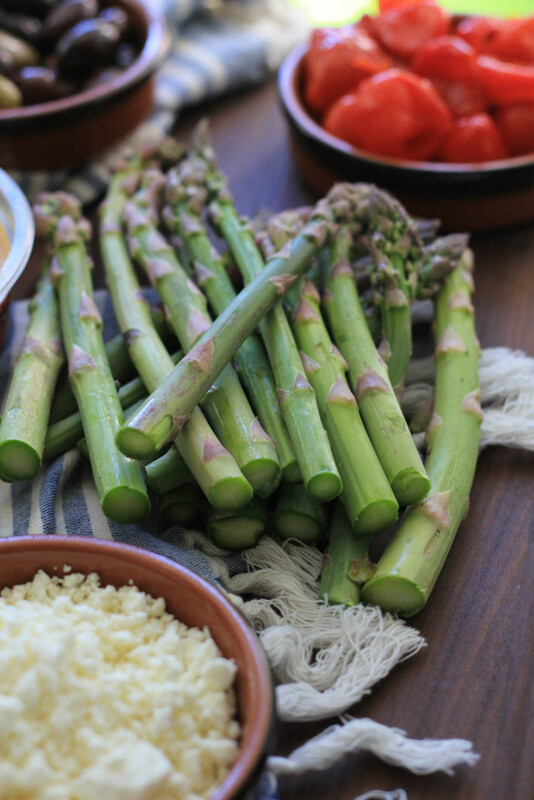 You know I eat seasonally and asparagus is the shining star of Spring. So I dipped it in the Gyro topping hummus I made, and love the combo! I was making Gyros for dinner, while snacking on hummus and asparagus, and waiting for Brian to get home from work so we could go for a walk. As he stepped in the door he mentioned how good it smelled, and for some reason, that was the key inspiration to topping the hummus I was eating with cherry tomatoes, cucumbers, feta, and fresh parsley. All of the accoutrements I was already chopping up to stuff into our Gyros after our walk. Voila, healthy appetizer while I hang out, talk with Brian, prep dinner, and snack before our walk. I love life! I tend to be hungry right around the this time, when he gets home from work, we go for a walk, but I need to fuel my walks. We live in a very hilly area and sometimes I want to lay down before I try to get back up the hill lol! But not when I eat a snack before I go, then I feel perfectly satiated until dinner with the right kind of food in my belly for exercise! Win win for our health and well being. And you can add these topping to whatever hummus you would like. I’ve topped it on a few, like the Rosemary Sea Salt, Original, and even the Caramelized Onion! 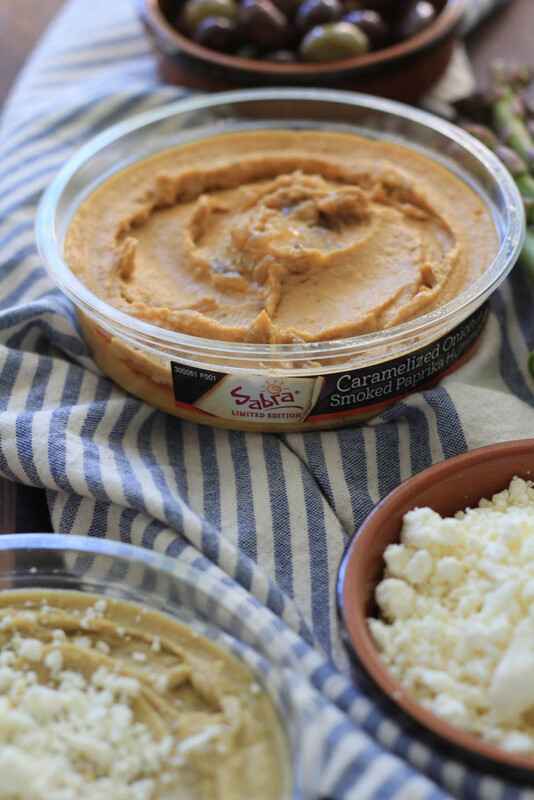 Celebrate with me and Sabra, grab a coupon for your favorite hummus while you’re at it! Tag all of your favorite #UnofficialMeal and #NationalHummusDay moments on social media, I’d love to see how you do your Unofficial Meal! I’ll be sharing more on National Hummus Day and The Unofficial Meal on TV ABC’S KATU CH2 AM Northwest in Portland! 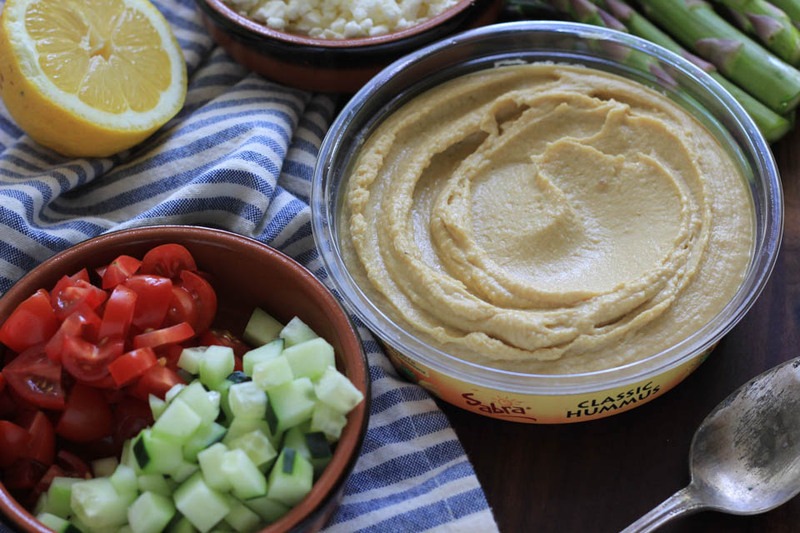 Top hummus with the toppings, squeeze fresh lemon juice over toppings, and eat with fresh vegetables! 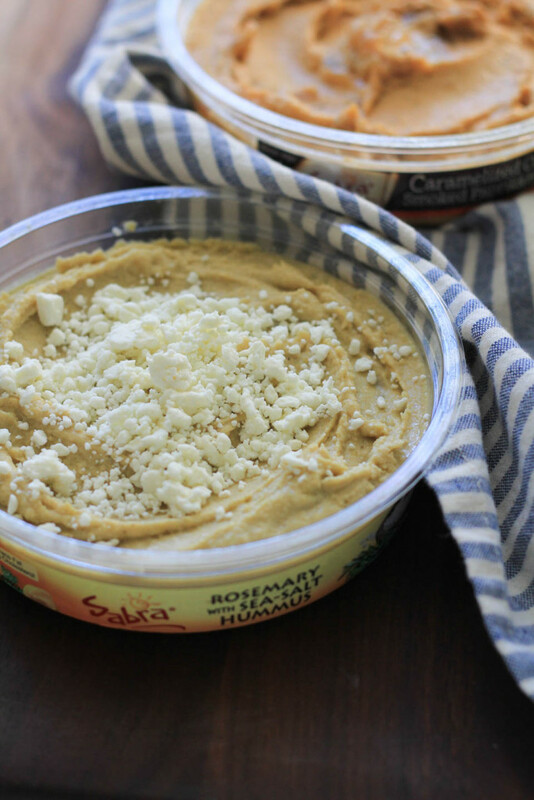 Make sure to tag all of your favorite #UnofficialMeal and #NationalHummusDay moments on social media, I’d love to see how you do your Unofficial Meal! Disclosure: This is a compensated post in collaboration with Sabra Dipping Company. All opinions are my own. Thank you for supporting the brands that support NJB! Why have I never thought to make my own hummus toppings?! What a fantastic way to jazz up normal hummus! We eat so much here, we always have some; I’m going to try this! I love hummus! It’s the perfect healthy snack/mini meal! Some of my favorite ingredients combined! So good! I can’t get enough hummus, so this is DEFINITELY calling to me! Pinning! This is MY kind of hummus! I love these flavors! I love this new hummus topping trend! I love nothing more than Greek salad with hummus, pita, olives and anything else that might come on a platter-style dinner. So this topped hummus looks like the best of all worlds! Me too, it’s such a great and easy meal! Thank you!